Admittedly, this is a concept I am struggling to grasp. There is a point in the conception of a thought, the breath taken to form a word or the preparation for any deed just before it becomes a singularity. 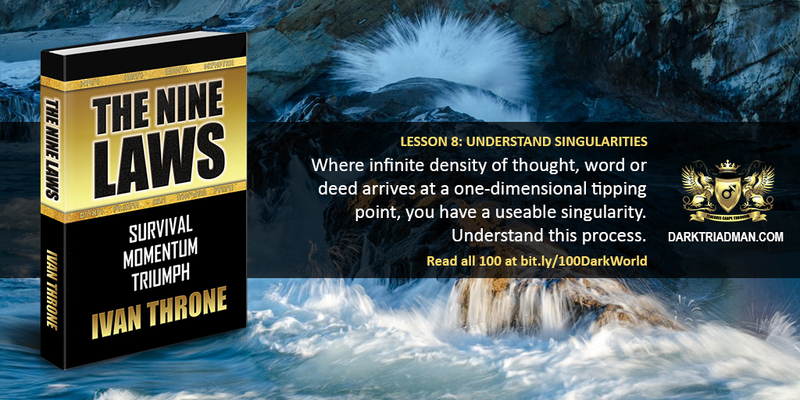 When this point is exceeded, the singularity becomes tangible and useable to carry out your intentions. Is this when thought becomes materially manifested? Yes, it’s that briefest of moment when form manifests. That moment, which Ivan Throne calls a “singularity”, if the closest most humans come to the power of creation out of nothing.